Today, August 2 marks Earth Overshoot Day. A day that represents when all 7.5 Billion people on our planet have used up the resources that the earth can naturally regenerate every year. Tomorrow, August 3, according to The Global Footprint Network, an organization that studies the bio capacity of the earth, we start eating into the principle of the Earth for the rest of the year. Global Footprint Network tracks every country’s use of six categories of productive surface areas: cropland, grazing land, fishing grounds, built-up land, forest area, and carbon demand on land. 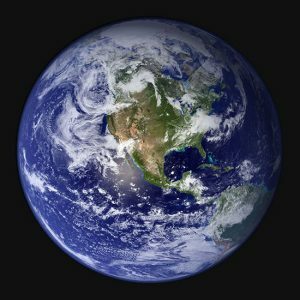 From their exhaustive calculations, and beginning in the 1970’s, they discovered the Earth was no longer able to generate all of the resources our populations collectively consume, including fish, wood, water, plants, animals, and other goods, nor absorb the resulting carbon dioxide emissions. Each year, the date of overshoot has crept earlier and earlier, and is now up to August 2. Another way to look at this is it is like the earth is a huge savings account. Until the 1970’s, the earth was able to provide enough resources (interest) for our population to live off. Thereafter, as population and consumption grew, we began consuming all of the annual interest and eat into the principle. A good example would be our fisheries. If managed judiciously, fish stocks can more than naturally replace themselves from what we harvest each year. Unfortunately, as reported by the United Nations 2015, 90% of our fisheries worldwide are now being fished to capacity, overfished, or in total collapse. How long can we go on overshooting? No one knows. What we do know is, unless there is a drastic reduction in population and consumption nature will respond, perhaps gradually or maybe unexpectedly and violently.